The most famous story of trying to do yoga with kids goes like this: Krishnamacharya, who was known in the early 1900’s for being able to stop his heart at will, wanted his son Desikacharya to do yoga. So, Krishnamacharya did what any level-headed parent would do: tied him to a tree until he agreed. If you’ve been a parent of anyone who is toddler age or older, you know that if we pressure our kids to like something, they’ll probably go the other way. Desikacharya eventually became an engineer. In the end, his son Desikacharya became a world renowned yoga teacher, and started Viniyoga, a school of therapeutic yoga so it all worked out but I’m not sure Krishnamacharya was alive to enjoy it. The moral of the story: sharing yoga with kids is tricky. But it can be done, and it can be fun! You can subscribe to our Mama Talk podcast through iTunes or Google Play. But how to get our little ones to actually like it? 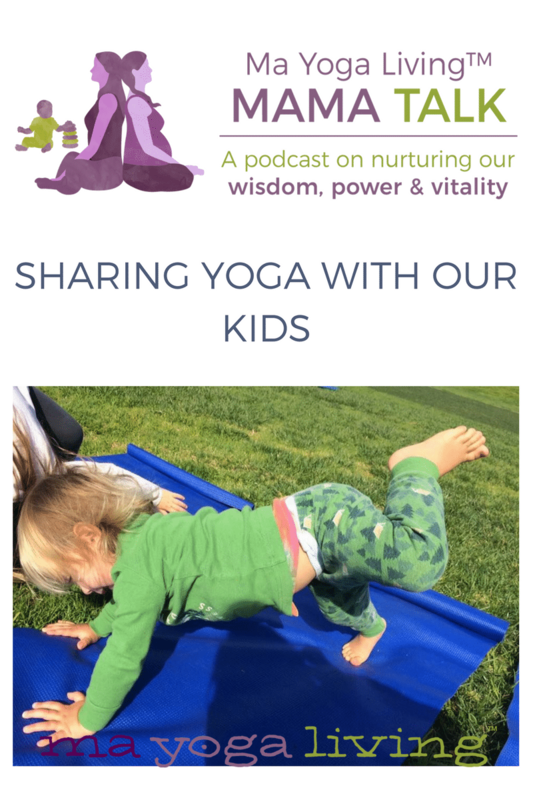 In this Conscious Mama Talk, I chat with Ma Yoga teacher and mom Jamie Hanson about ways we’ve found to share yoga with kids, so they are excited by it. Most important: it’s not another thing to achieve or accomplish. It’s a way for them to play, to explore what their breath and body can do, and to understand that as long as they are doing their best, they’re doing enough. We hope you – and your kids – enjoy! Grab your free 7 Ways To Get Your Kid to Love Yoga guide here!